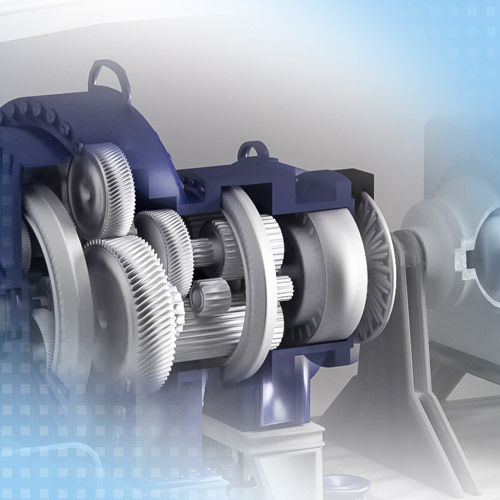 In order to ensure high efficiency in power plants and large motors, predictive maintenance is an essential factor. Therefore, very high requirements are placed on the sensors in terms of accuracy, reliability and compactness. Sensors from Micro-Epsilon have proved invaluable with regards to safe plant operation in the test bench and in high volume applications. To date, bearing gaps were measured during standstill based on a tactile principle. Therefore, long inspection intervals were required, which in turn, may increase the risk of a complete plant failure. Moreover, these deliberate stoppages intended for measuring and inspection purposes cause considerable additional costs. Micro-Epsilon acquires the measurement values during plant operation, thereby enabling reliable, cost-saving real-time analysis. This measurement task is performed with the inductive eddyNCDT 3005 measuring system based on eddy currents. It includes a sensor with a measuring range up to 6 mm, which is permanently connected to the controller via a 1 m long cable. As the system is oil-tight both on the front and rear side, it is ideally suited to this application even when typical oil pressures reach 1 to 2 bar in the bearing. The eddyNCDT 3005 inductive system is already being used in wind turbines to analyze and optimize the maintenance intervals of wind turbines. 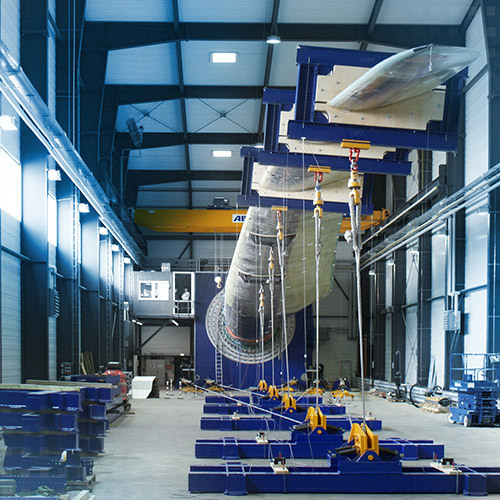 In addition, the data acquired in the test bench throughout the design period can be taken into account and used for dimensioning purposes of new components. The sensors can be used in the test bench and in high volume applications for Condition Monitoring. Serial use offers major advantages as the sensor technology can already be aligned and precisely adjusted during installation and initial operation. 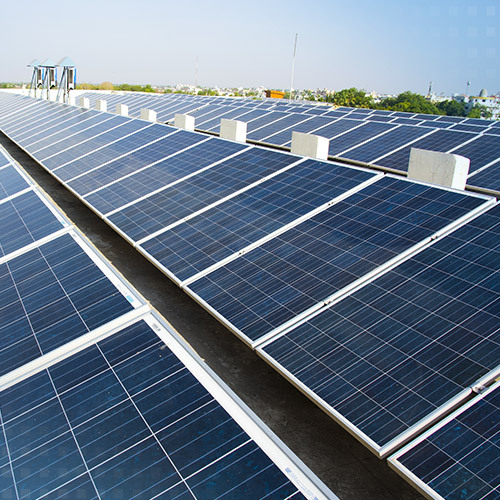 Aligning solar panels in relation to the course of the sun increases the energy yield, and therefore the plant effectiveness. Inclination sensors ensure that the panels are always properly aligned. In order to monitor rotor behavior in the generator, capacitive displacement sensors measure the gap between stator and rotor. 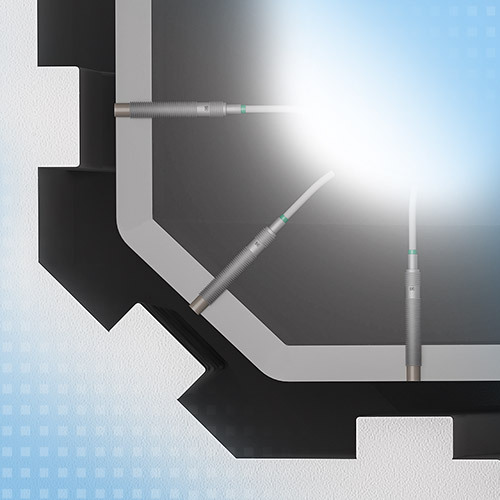 Despite high temperatures and electromagnetic fields, capacitive sensors from Micro-Epsilon provide unmatched accuracies. In addition to continuous measurement for predictive maintenance, the measurement can also be used when setting the generator. In order to control air supply, the air flaps automatically open and close depending on the temperature. Draw-wire displacement sensors monitor the position of the open air flap. 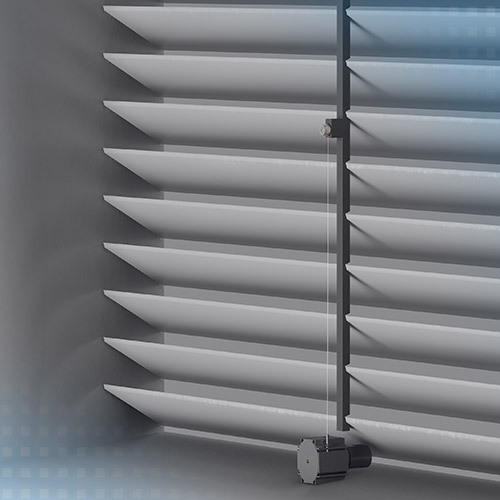 Acceleration sensors are used in wind turbines in order to monitor the tower oscillation. When the oscillation is too strong, the rotor blades are removed from the wind. 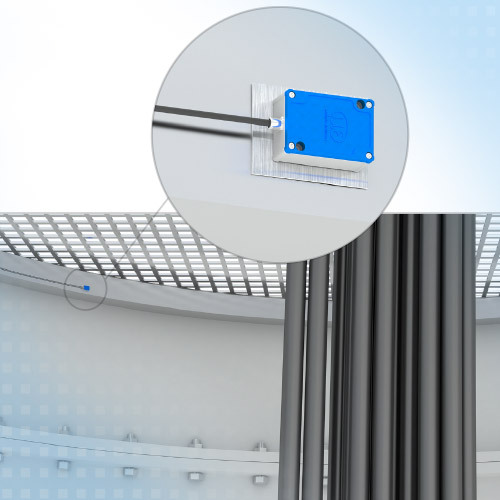 In order to monitor the supporting moments, eddy current displacement sensors measure the distance between the nacelle and the tower, which enables early recognition of any oscillations. Therefore, the plant can be switched off in time when the wind load is too high. 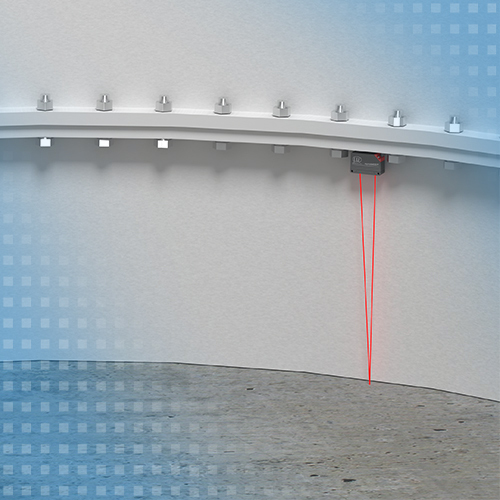 Laser triangulation sensors measure the distance from the foundation in order to detect the tower movements. High measuring rates enable to detect vibrations directly. Depending on the number of sensors installed, detailed evaluations about the vibration behavior can be determined. When the tower movement is too strong, the rotor blades are removed from the wind in order to avoid possible damage. Eddy current displacement sensors measure the axial, radial or tangential deflection of the clutch disc. 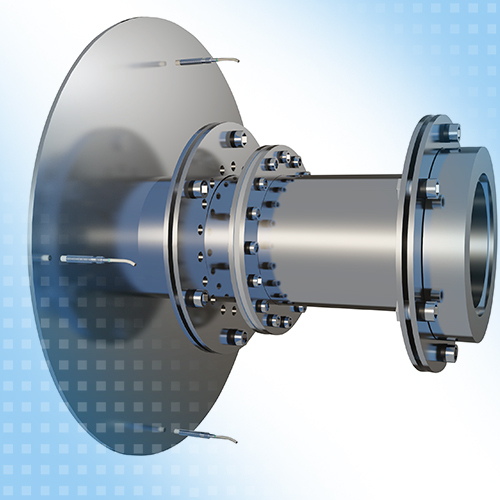 These robust sensors are designed for harsh ambient conditions and, due to their extremely compact size, can also be integrated in restricted installation spaces. 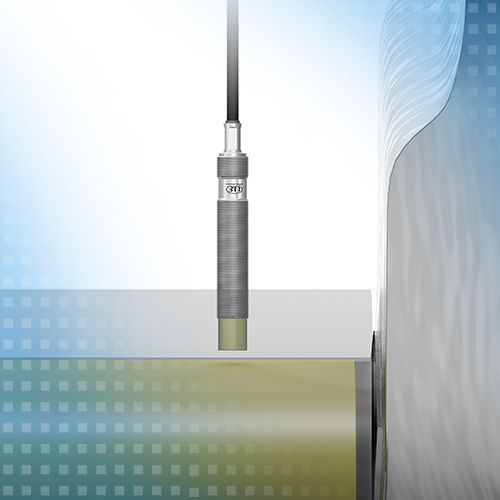 The sensor provides stable measurement results despite high pressures and temperatures. 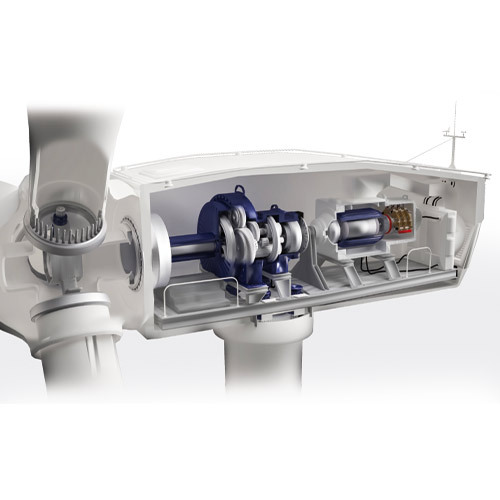 The gearbox temperature in wind turbines is measured continuously during operation. Heating up of components may indicate a potential problem with a component. If a certain threshold is exceeded, subsequent remedial action can be started or maintenance planned. With regard to predictive maintenance, the oil gap should be measured, i.e. the distance between the bearing surface and the shaft filled with lubricants. 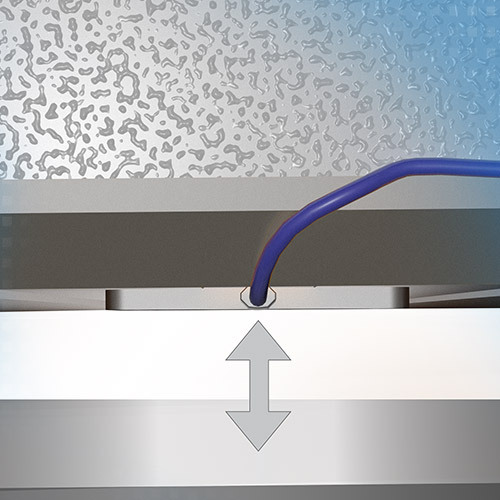 Despite pressure, high temperatures and lubricants, robust eddy current sensors from Micro-Epsilon can provide a permanent statement about the lubricating gap based on high measurement accuracy.